Regarded as the top glass company and installation professionals of architectural glass across the Greater Chicago Metropolitan Area is GlassWorks and has been so for over 37 years. Further, we are happy to take huge delight in our one-of-a-kind glass shower enclosures. It is not very much of a no big shock that GlassWorks is viewed as the finest spot for customers who are seeking the best shower enclosures and glass shower stalls. Despite the design of glass shower enclosure you need, GlassWorks has the skill and expertise to care for each of your glass shower enclosure needs! Going back to 1997, we have been delivering our fantastic, best rated services to citizens of Schiller Park together with our wide variety of glass shower enclosures and glass shower stalls. Actually, we are revealed as serving right around 4,000 customers each and every year! Schiller Park, Illinois has about 11,800 residents residing there and is found in Cook County. Glenview, where you can find GlassWorks, is easily located about 12.7 miles northeast of Schiller Park. Each time Schiller Park residents are in the market for glass shower enclosures or glass shower stalls, they seek the advice of the industry experts at GlassWorks. Our smooth and superior shower enclosures will furnish a degree of splendor and satisfaction to Schiller Park baths. Thus, Schiller Park locals are aware that GlassWorks is competent to individualize their glass shower stalls and shower enclosures to their actual needs. Also, not only will our glass shower enclosures and glass shower stalls furnish an appearance of intricacy to bathrooms, but our shower glass is generally termed as “safety glass” that ensure that bathers are shielded inside the strong shower glass structure. Ease of upkeep and cleaning. Additionally, valued customers are typically thrilled to hear that GlassWorks offers them with competitive and low-cost prices. 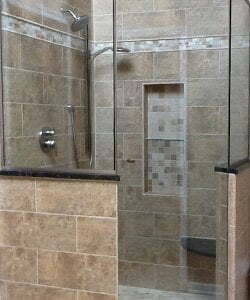 It doesn’t matter variety of glass shower stalls and shower enclosures you want to have, from frameless glass shower doors to neo-angle glass shower doors, glass steam shower enclosures, framed glass shower doors and custom glass shower doors, you can always count on GlassWorks to handle your needs rapidly and effectively. Also, our GlassWorks’ installation technicians always take care of customers’ homes like they actually do their very own! To schedule an appointment, fill out our online form for your 10% price savings, or call GlassWorks now at: (847) 729-5580 to receive a FREE ESTIMATE!